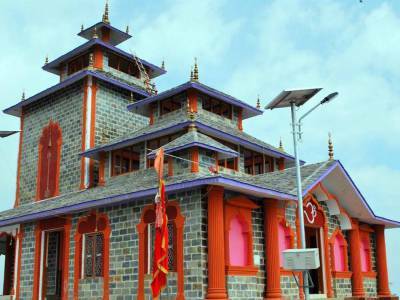 Surkanda Devi temple is situated on a hill top in between Dhanaulti and Kanatal in Uttarakhand. 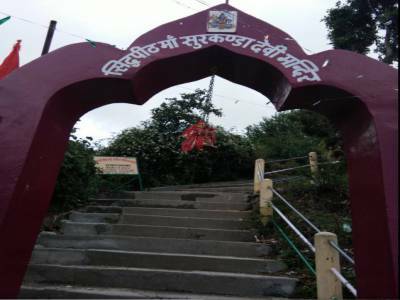 Surkanda devi temple is one among 52 Shakti Peeths and the legend goes that the head of the goddess Sati fell at the place where the temple stands. 1) Cemented walkway : It takes about 45 min to reach the temple. 2) Slightly difficult but very interesting trekking route (Natural walkway) : It take 1.5 to 2 hour to reach the temple. Horses/Ponies ride also available for children, Aged peoples and ladies Devotees. Top of the mountains, view of himalayas was very charismatic and wonderful, snow laden peaks of himalayas are easily visible from this place, the environment is calm and holy. 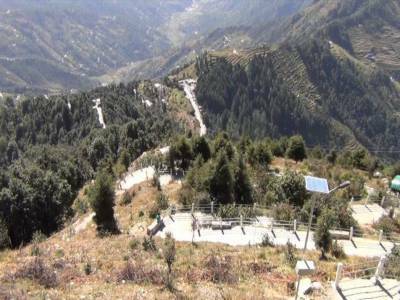 People visiting Mussoorie must visit this place not only for Hindu Shrine but also for its scenic beauty. 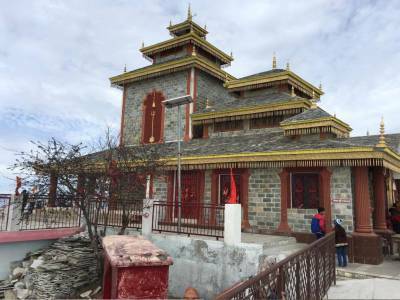 Accessibility Temple is located about 12 kms from kanatal and 20 kms from Dhanaulti on the Mussoorie-Chamba road and Trekking Route altitudes about 10000ft. 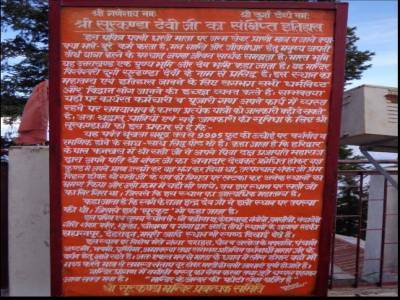 Get quick answers from travelers who visit to How to Visit Surkanda Devi Temple.